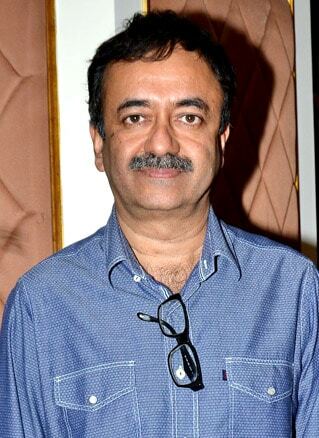 Rajkumar Hirani is one of the finest directors of the Hindi film industry. He made his directorial debut in the year 2003 with Munna Bhai M.B.B.S. It was the blockbuster which led to its sequel as well. To know more about Rajkumar Hirani Movies, go to BOTY which has generated a separate list of his films & find out your favorite films. 3 Idiots & P.K are the most notable Rajkumar Hirani Movies. Initially, he made his debut in the Hindi film industry as a film editor. Mission Kashmir was his first film as an editor in the year 2000. Very soon, Hirani made his directorial debut in Bollywood. In the year 2003, he came up with an action-comedy film, Munnabhai M.B.B.S which was the super hit movie of that year. It featured Sanjay Dutt & Arshad Warsi in the lead role. Later, the director made its sequel as well in the year 2006. It was entitled as Lage Raho Munna Bhai. Furthermore, the director made 3 Idiots & P.K starring Aamir Khan in the lead role. While 3 Idiots collected over Rs 200 crores, P.K became the first Hindi film to cross Rs 300 crores. To know more about Rajkumar Hirani movies, check out the list prepared on BOTY.